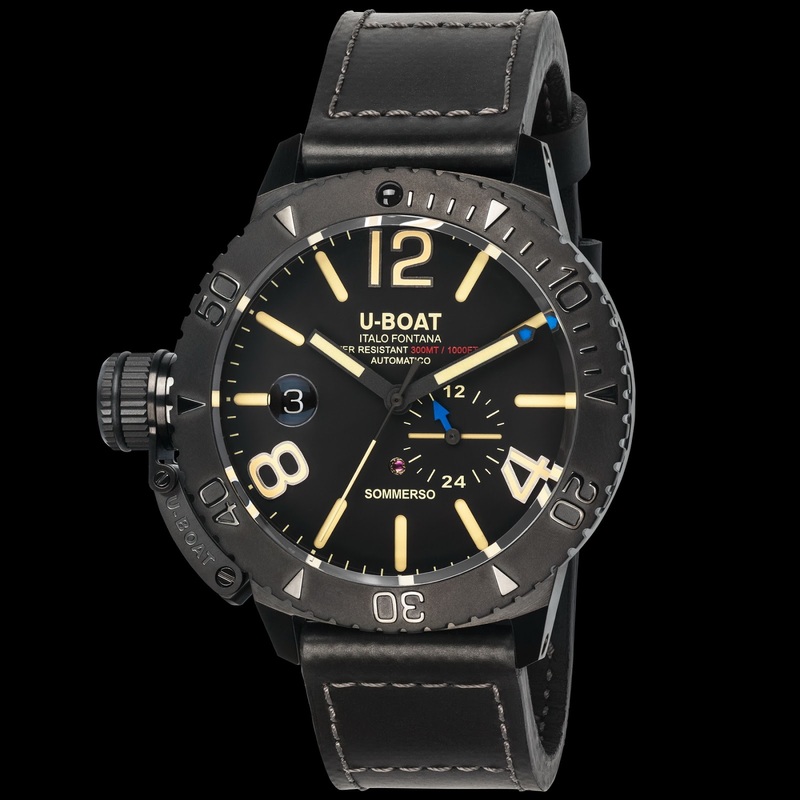 U-BOAT have added a further two new models to create the Sommerso 300M collection. The one currently existing model has also been slightly tweaked with some new red WR text which has been used across the collection. 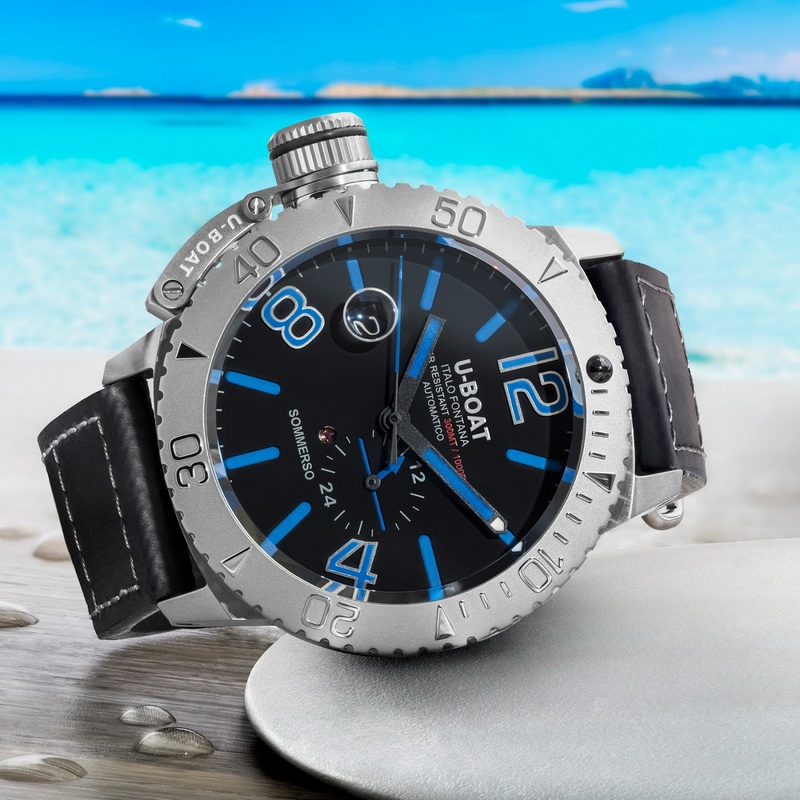 The two new additions also share the same 45mm in diameter case made from AISI 316L Stainless steel 300 meters of water-resistance. One also has a satin finish. 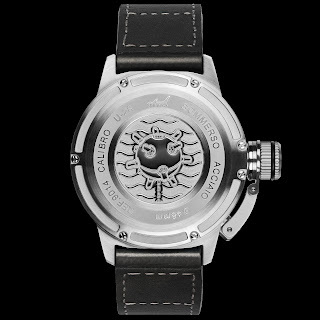 The other of the two new variants, AKA the Sommerso DLC as its name suggests has a black coating. While the other steel variant, AKA the Sommerso Blue boasts vivid blue colored luminous hands and markers. 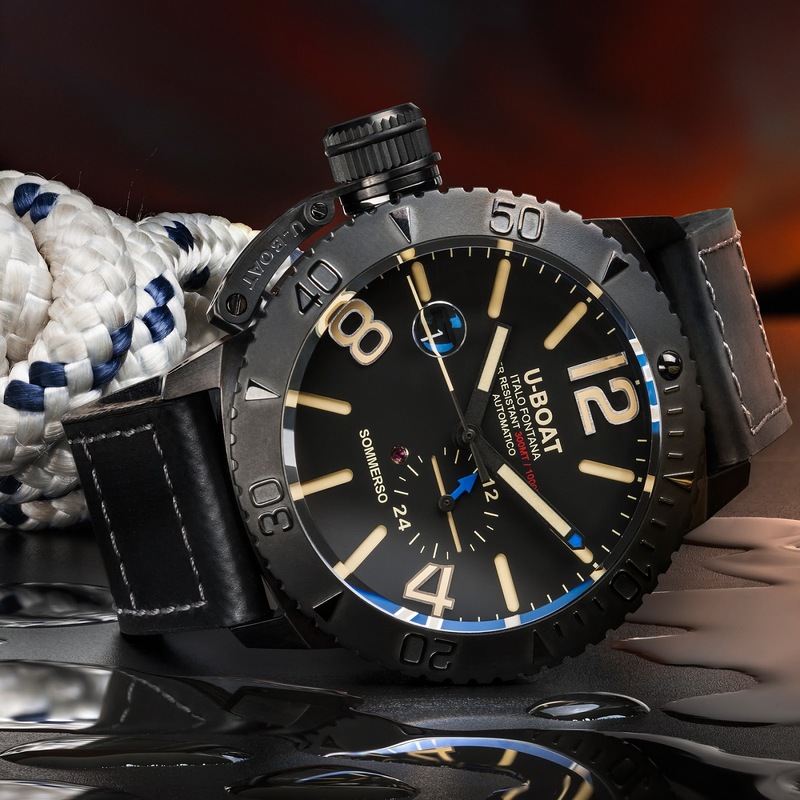 Features of the Sommerso diver include: a rotating divers bezel with calibrated markers every five minutes interspersed with numbers every ten minutes from 10 to 50. On its left side is a distinguished crown with a patented protective device. 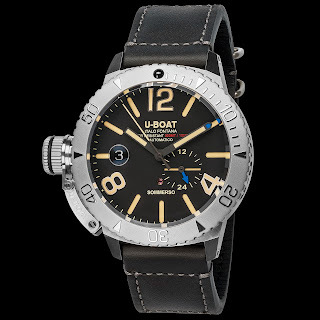 On the right side of the case is a lever, which can be used to lock the bezel, so presumably it is a bi-directional bezel. 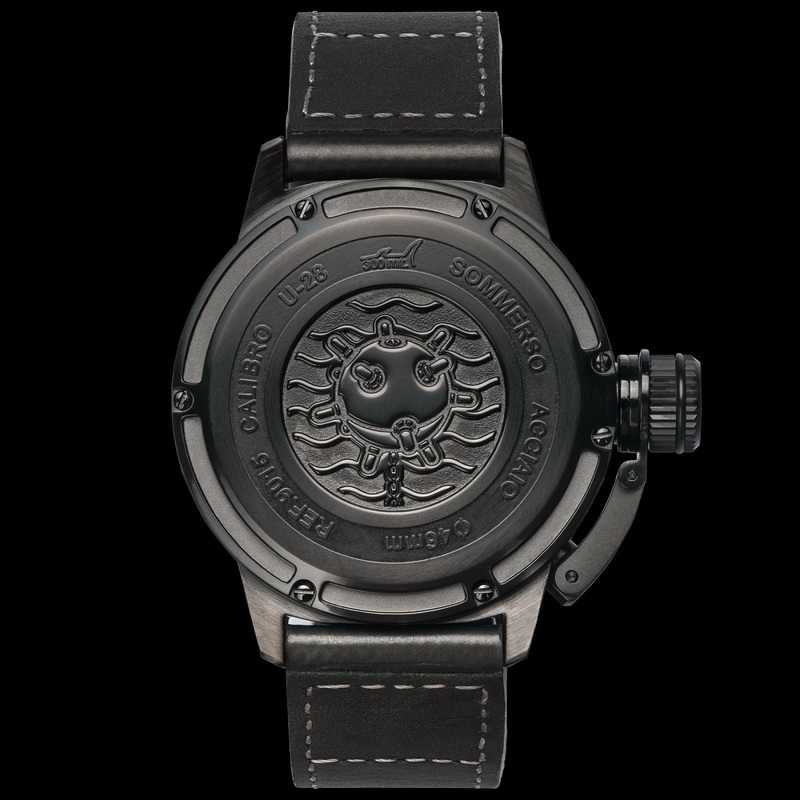 The watch watch’s serial number plate is also fixed on the side of the case. The caseback is sealed with seven external screws and has a WWII mine motif in its center. Powering the Sommerso collection is an automatic mechanical 25 jewel movement with 28,800 vibrations per hour, 4 Hz and a power reserve of up to 38 hours. 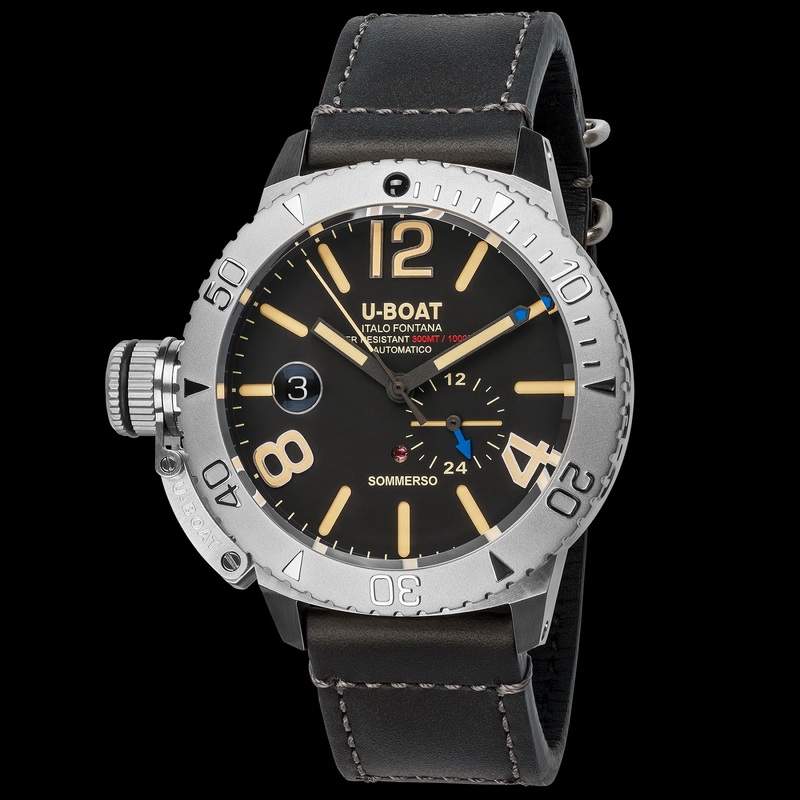 The movement has been personalized to U-BOAT’s specifications so that the stem is positioned at 9 o’clock – destro-style. 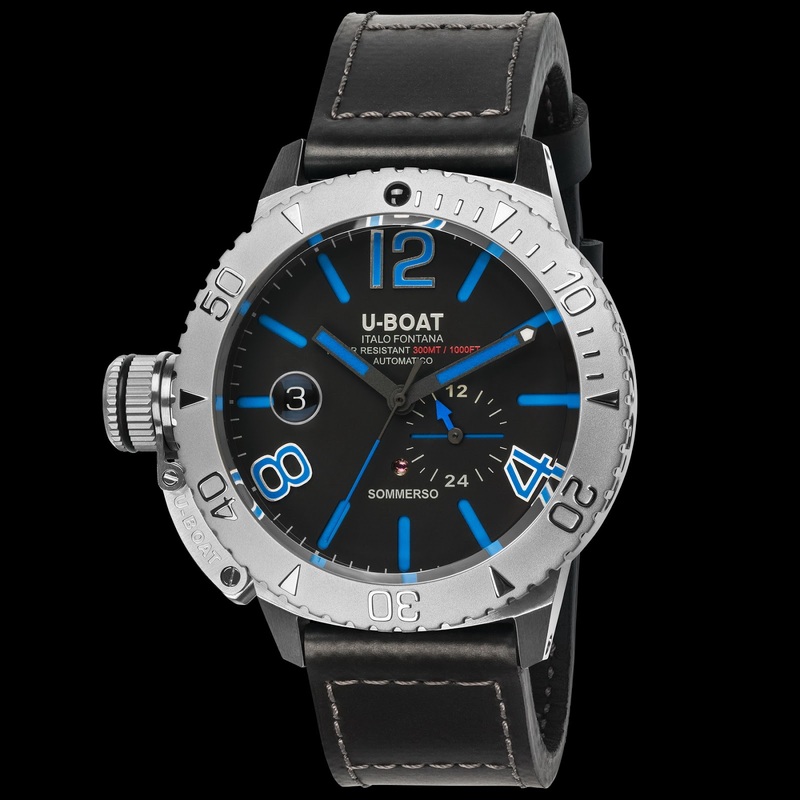 A Sapphire crystal with anti-reflective coating and a lens on the date window protects the watch face which has a tiny hole opening it, revealing one of the movement’s 25 rubies. Thoughts? 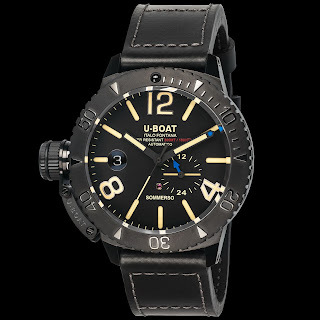 Do these float your U-Boat or should they be dispatched with a WWII mine??? I find them a little bit dated looking.